Gorman & Gorman Electric Co. is a family owned and operated business established in 1973 and incorporated in 1979. We specialize in large-scale electrical installations and in our nearly 40-year history have never failed to meet a project deadline. At Gorman & Gorman, we pride ourselves in being dependable and believe in going above and beyond for our customers. Whether it’s working with other contractors to make sure all aspects of a project are functioning cohesively or finishing a project ahead of schedule, our team of licensed professionals has built a solid reputation on being some of the best in the business. We invite you to Contact Us today to find out more about how Gorman & Gorman Electric Co. can help with your company’s needs. 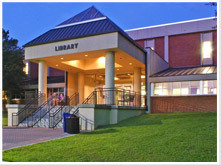 Gorman & Gorman was contracted to handle all of the electrical needs for the renovations of Macon State College’s main library, as well as the addition of 58,000 square feet of library space (58,000 sq ft addition/renovation).